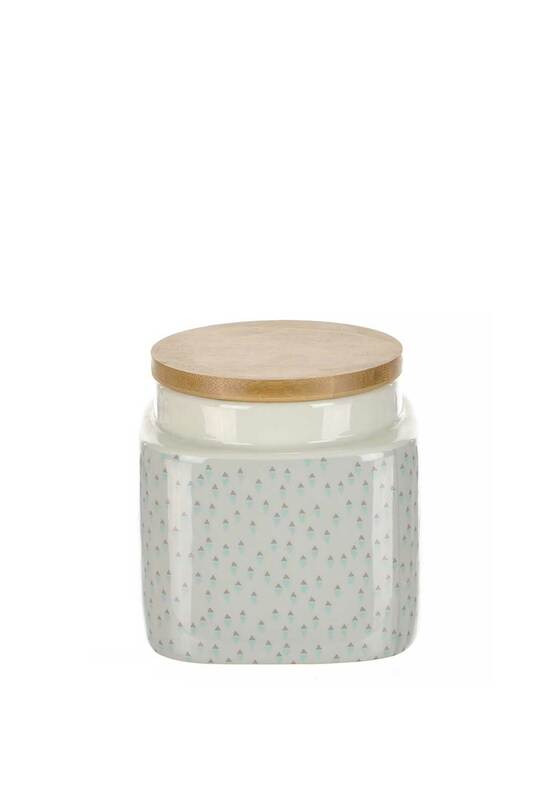 Store a variety of kitchen goods in this pretty storage jar from Katie Alice. 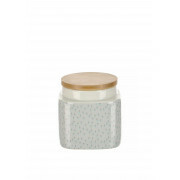 The small stoneware container features a blue and grey triangle print throughout with a floral graphic on one side. A bamboo wood lid has a rubber seal.